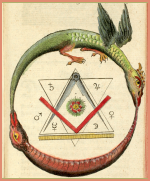 This is the thirteenth book in the 21 Brotherhood of Light Course series by C. C. Zain on the Hermetic Sciences, Astrology, Alchemy, Tarot, Kabbalah and the Occult. 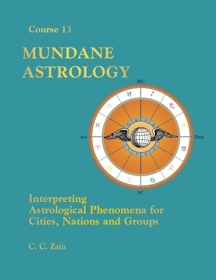 Mundane astrology is the study of how astrological influences affect nations, cities, states, communities, corporations and groups. Local and world trends can be studied through the use of mundane cycle charts of the major planets. 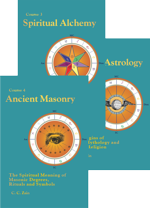 This book is one of the rare technical manuals covering the astrology of world affairs. It teaches the student how to construct and interpret mundane cycle charts. It shows how to determine the timing of the birth of a corporation or nation-state. The book covers the cycles of Mars, Jupiter, Saturn, Uranus, Neptune and Pluto, giving many real-world examples of how aspects in the charts are linked to world events. The book provides examples of planets transiting through a sign and Major (Secondary) progressed aspects in the birth charts of nations and cities. It also discusses Sun cycle charts, major conjunctions of the planets, moon cycles and eclipses. 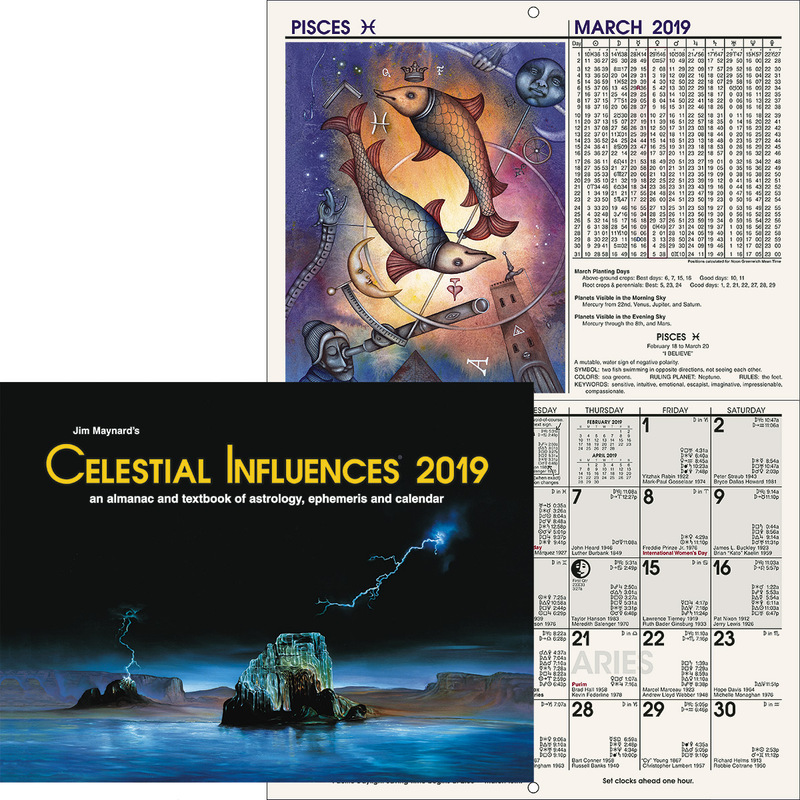 Abundant real-world examples of these cycle charts, their aspects and the associated events taken directly from the World Almanac, show how knowledge of astrological trends enable organizations and nation-states to take precautionary actions. This book is formatted in the easy to use 8 1/2 x 11 student format. Study Questions for each chapter/serial lesson are included. Course 13 of 21 in the Brotherhood of Light Study Program. C. C. Zain is the pen name used by Elbert Benjamine (1882-1951), the noted astrologer, naturalist and occultist, for those writings done under the auspices of The Brotherhood of Light during the years 1914 - 1934. This body of knowledge has become known as The Brotherhood of Light Lessons. Elbert Benjamine was one of the most prolific astrological writers of the 20th century. In addition to the twenty-three volumes of the Brotherhood of Light series published under the penname C. C. Zain, Benjamine also wrote over fifty books and hundreds of magazine articles. A scholar who mastered every physical science of his time, Benjamine brought the same vigor to his exploration of the metaphysical sciences. Like the writings of Bailey, Blavatsky, Steiner, and Heindl, the works of C. C. Zain (Elbert Benjamine) have impacted the lives of thousands of students of Western Occultism. Elbert Benjamine was born Benjamin P. Williams in the small town of Adel, Iowa, December 12, 1882. He was a natural psychic and seer. In his youth, his heightened awareness brought him into contact with those who had passed from this plane to the next. In the autumn of 1898, he began his esoteric studies. By 1900 he had contacted The Brotherhood of Light and began serious study of astrology. His father was a doctor and deacon in the Disciples of Christ church in Iowa, where the community strongly disapproved of any interest in astrology and the occult. For this reason, upon moving to Los Angeles, he changed his name to Elbert Benjamine in order to protect his family. In the spring of 1910 he gave his promise to write the Twenty-One Brotherhood of Light Courses covering astrology, alchemy and magic, under the penname of C. C. Zain. From that time until his death in 1951, he devoted his life’s energy and personal resources to writing the lessons, and to establishing The Church of Light as a vehicle for disseminating The Brotherhood of Light teachings.